“Portfolio Model” of Charter Schools: Expanding Opportunities for Kids to Fall Thru the Cracks. 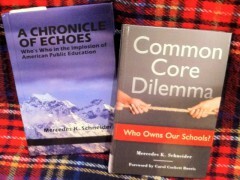 “Portfolio model” is a term used to describe the conversion of a once-centralized, local-board-operated system of community public schools into a number of decentralized charter schools that escape centralization (and having public input in the form of elected boards) even if some semblance of an elected board approves and periodically reviews charter renewal. Prior to post-Katrina charter school proliferation in New Orleans, the public schools were directly run by the locally-elected Orleans Parish School Board (OPSB). 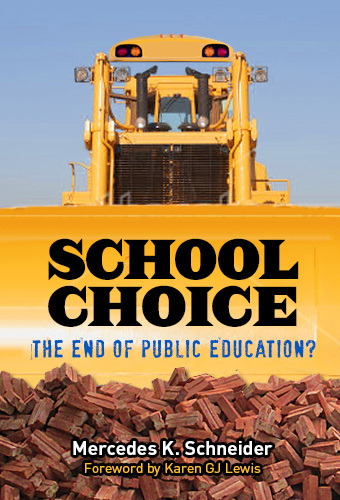 In 2005, the state took over most New Orleans public schools and converted all state-run schools into charter schools. In 2017-18, the state-run Recovery School District (RSD) started “returning” those charter schools “to” OPSB; however, the charters are not directly run by OPSB, with OPSB chiefly limited to reviewing charters for renewal every several years. Thus, this “return” of schools is not really a return because these “returned” charters still chiefly operate as their own education islands. There is no unity among the schools in this “system,” which means that once a student exits one charter, what becomes of that student is no longer that school’s concern, period. A portfolio model means no centralization, and no centralization creates many non-networked cracks through which students might fall. I asked a similar question during a panel on “Test-Based Accountability Effects of School Closure” on school closings, their impacts on high school students, and received the response below from Dana Peterson…. …“We’re more worried at the high school level than the elementary level. Its true some kids do leave and fall out of the system.” That’s why, he said, the RSD started hiring counselors specifically for high school kids two years ago to try to make sure they didn’t disappear from the system. So, even though the term, “portfolio model,” sounds chic, when I hear the term, my first thought is of students falling through those decentralized cracks. On July 31, 2018, former New Orleans charter school promoter, Neerav Kingsland, announced the formation of yet another pro-market-ed-reform nonprofit, the City Fund, a national organization aimed at promoting and proliferating the portfolio model of charter schools in cities across the nation. Chalkbeat reports that the City Fund has at least $200M in its coffers, from the John and Laura Arnold Foundation and the Hastings Fund, with other fiscal support not known. A second, better irony is that ed reformers from different pro-charter situations are consolidating in order to promote a decentralized charter model. Otherwise, net charter school growth might just, um, fall through the cracks. Great reporting. There are varieties of portfolio models, but all are contrived to subvert public control by democratically elected school boards. I am thinking of some of the Gates funded districts where superintendents from very disparate geographic locations in a state are persuaded to work in concert as part of portfolio, all pursuing similar aims, using a common metric for improvement and so on. One of the oldest models can be examined by looking at the CORE districts in California. Linked In’s webpage reports that 14 days ago, the Center for American Progress posted a job opening for a VP of Education Policy. Please apply, Mercedes Schneider, or encourage someone you know to apply.